I have a set of five figures for Test o Honour that will be based soon but they made way on the painting handles for three Endless Spells for Age of Sigmar. 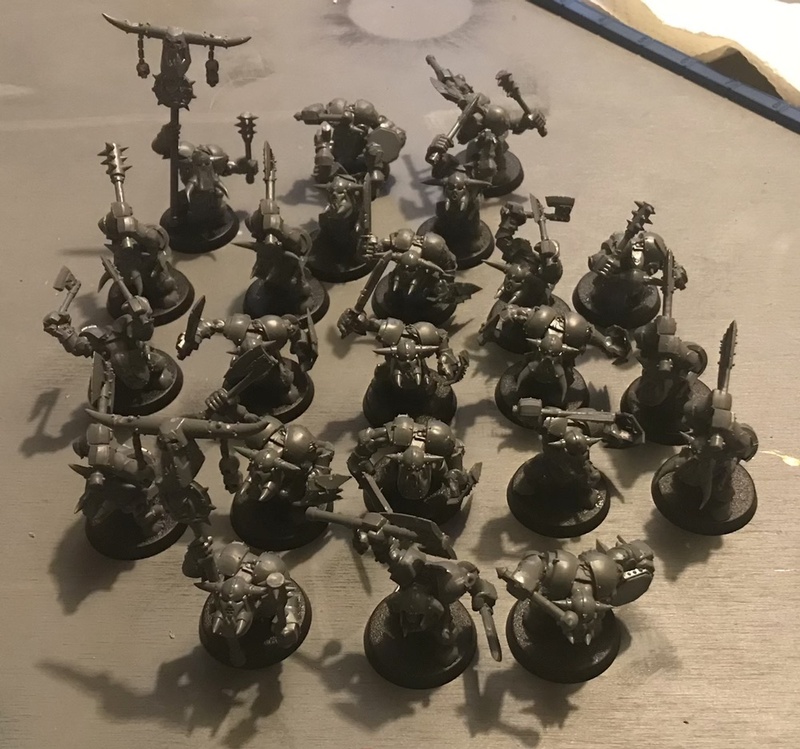 I picked the ones that I was the most interested in adding to my Ironjawz first and will start working on some of the other as I, or the Twins, want to include them in a game. These should be relatively easy to paint. I also took a lot of time to assemble 23 ‘Ardboyz for the Ironjawz force. It took a heck of a lot of time to build them all and it will be a frosty day in hell before I do that again. I have built enough models to run two units of 10 with full command or a unit of twenty. I also built enough models with shields to do a unit of ten in case I want to go up against something that can throw around a lot of high rend wounds. Not shown is the Balewind Vortex that is being partially primed. I used some green stuff to fill in the seam on the vortex part of the model so it hasn’t been fully primed yet.